Margaret Evans was a member of the original WEA History Group that produced the little book called "Harefield at that time of Day" in the late 1970s. She was a retired Nursery Teacher and a talented artist who lived in the Village. 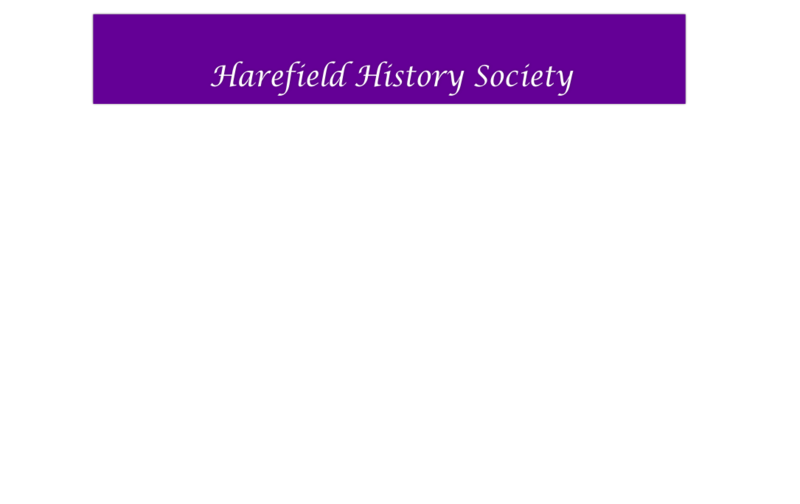 In 1980 when the Harefield History Society was formed she was one of the Founder members and was our first Honorary Secretary holding the office for many years. She spent many hours researching reports on Harefield, collecting the information together into the eleven themed calligraphy leaflets, five shown below and five on page 2..